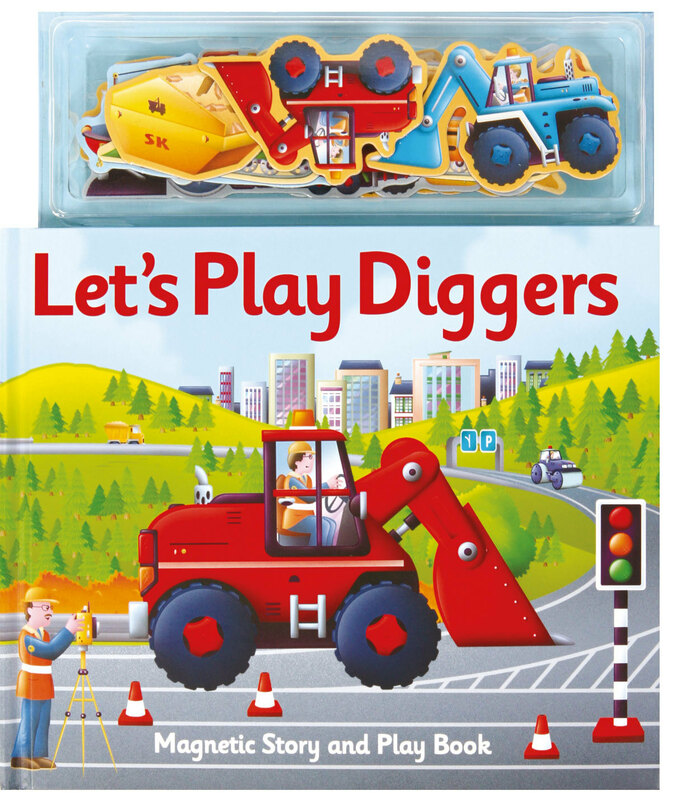 From rollers and mixers to dumper trucks and bulldozers, children aged 3+ will enjoy matching the colourful magnetic play pieces to the simple story in this interactive novelty book. Guide your child through the book as you read the simple sentences and learn all about diggers. Then encourage them to find the correct digger, dumper and mega machine magnets to complete the colourful scenes on the magnetic pages. Let's Play Diggers will help to develop your child's fine motor skills and hand-eye coordination. When play is over, the magnetic play pieces can be neatly stored in the integral compartment, ready for play the next time. Magnetic books enhance hand-eye coordination skills. Over 5 million magnetic books in print! Scottish author and illustrator, Alfie Clover, was born and brought up in Edinburgh. His first storybook, Let's Play Diggers, has sold over 70,000 copies worldwide. Alfie enjoys a spot of golf at the weekends and taking a trip out of the city to the Highlands. During the week, he works at the local library where he is inspired by the books to continue his writing. Paul Dronsfield is a graphic designer, illustrator and fine artist with over 30 years experience within the packaging and publishing industries. Starting out as a designer at a packaging design company, he was also a senior designer at a children's book publishers and a studio manager at a major UK toy manufacturer. For the last 15 years he has worked as a freelance designer and illustrator, focusing on bright, bold and colourful designs.